Description: A gorgeous reclining chair, made from teak wood and rattan. 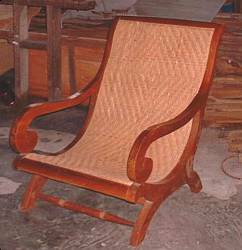 Made in the traditional tropical style, this chair is really a fine work or art. 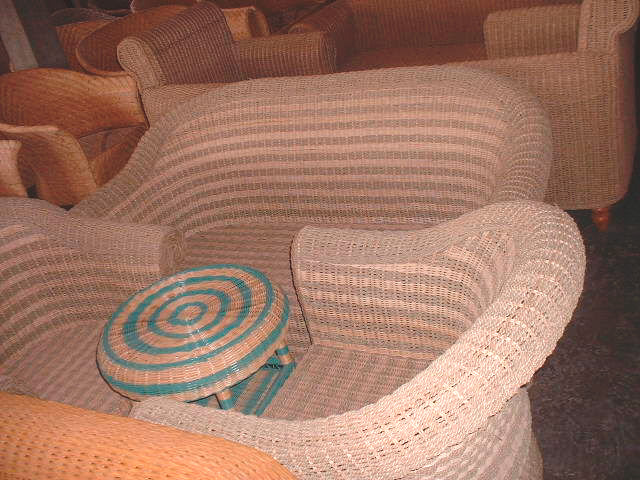 Description: A very comfortable swivel chair, this is a wonderful addition to any fine home or patio. 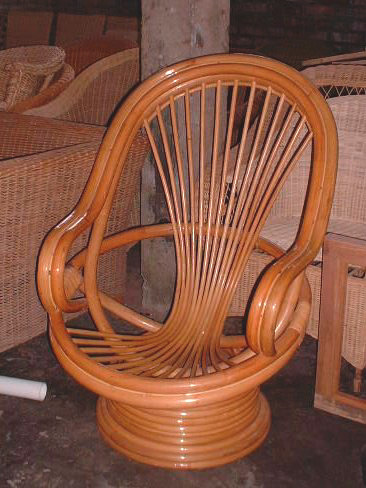 Description: A truly unique piece of furniture, the frame made from teak wood and the weave made from sea grass, a very beautiful and comfortable piece of furniture. 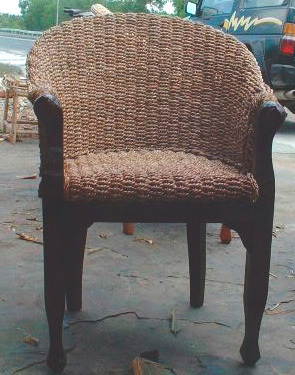 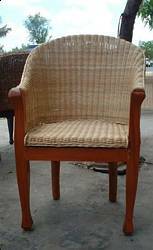 Description: A lovely chair, the frame is made from teak wood and the seat and back is made of rattan. 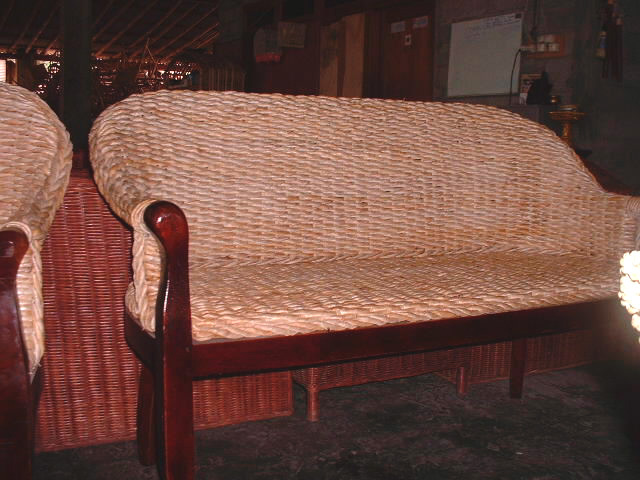 An elegant piece, very lovely and works well with many different furniture styles. Description: This is part of a living room set consisting of one sofa, 2 chairs and one table, all made from teak wood and rattan. Description: This comfortable chaize is made from both Rattan as well as sea grass, and is a very comfortable pice of furniture, great for just relaxing at the end of the day. 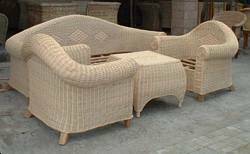 Description: This gorgeous living room set made from rattan features 2 chairs, a coffee table, and a large sofa. 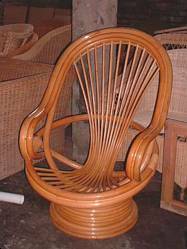 A truly unique and elegant style for any fine home. Description: This fantastic looking living room set includes 2 chairs, one sofa, and one coffee table. 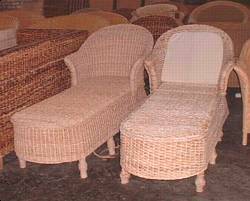 A beautiful furniture set.